To get to know the active role of water more closely, "we have been adding water molecules one by one to see how the Tn antigen behaved. We have seen that adding just one water molecule was enough to change the structure of both antigens, and in fact, water became located in various parts of the molecule," said Cocinero. Emilio José Cocinero pointed out that "it is likely that the various shapes of the Tn antigen give rise to different interactions with cell receptors and antibodies, and the compression of these structures could facilitate the design of more effective detection tools and anticancer drugs. This work is in fact part of a long-term project that aims to try to produce potential vaccines against cancer," added Cocinero. "The major problem with this molecule, the Tn antigen, is that it is naturally present in the body, which means that the body's immune response is very low because our body does not perceive it as a foreign body," stressed the author of the work. Yet, "what we have seen is that if the concentration of this molecule increases, it means that the cancer has developed. We can follow the evolution of this molecule to see the degree to which the cancer has developed", added Cocinero. 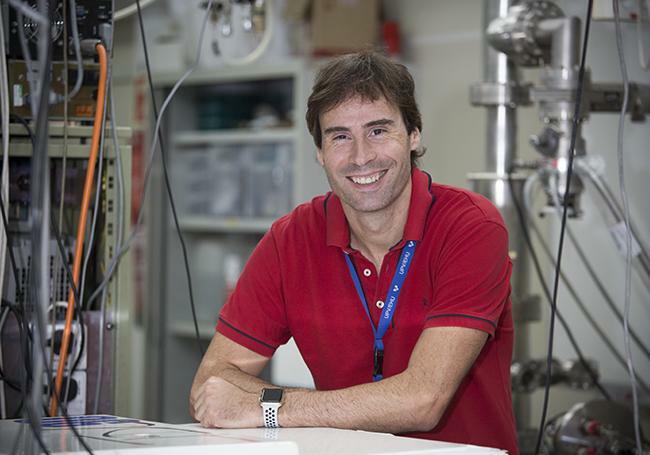 This multidisciplinary work needed the collaboration of three institutions: Emilio J. Cocinero, member of the UPV/EHU's Department of Physical Chemistry and the Biofísika Institute, Francisco Corzana of the University of La Rioja, and Ramón Hurtado of the ARAID Foundation.